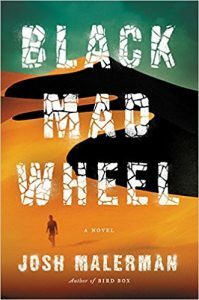 Black Mad Wheel, Josh Malerman (HarperCol­lins Ecco 978-0-06-225968-4, $26.99, 292pp, hc) May 2017. That’s where reality goes off the rails. 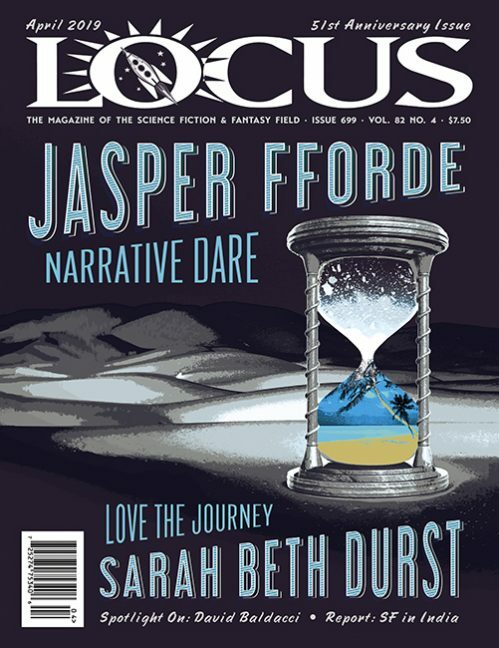 Listen­ing to it play on a record studio speaker, Philip struggles with nausea and tries to describe what feels like “more of a flood than a reverberation,” or “something coming toward him…. 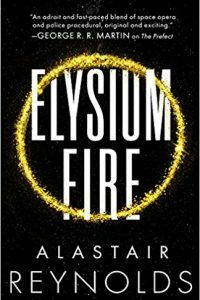 As if the air it travels upon is scorched, rendered black, leaving a trail as wide as the studio, and maybe the entire city beyond the studio walls.” While platoons have failed to find the source, somewhere in Africa’s Namib Desert, the US military knows it’s strong enough to disable nuclear weapons. The fate of the world could depend on solving this mystery. Back at the hospital, from the viewpoint of a nurse, we learn that Philip arrived “in an anoma­lous condition” (like most patients at Macy Mercy) but woke from a coma after six months. Now his lips and eyelids move. His skin’s mottled with bruises, an “endless spread of purple and orange, mud brown and yellow” caused by massive inter­nal breakage. Yet as nurse Ellen stares, he stares back… and all the fingertips of one hand twitch. 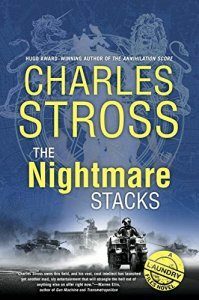 Despite the conjured shades of fighting men from many eras, and resonance with all warfare, this is a dark fable of the Cold War, where the great threat is nuclear. 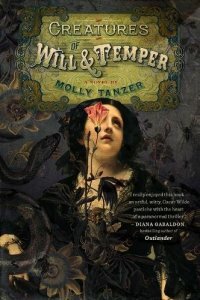 In the hospital, Philip proclaims himself “radioactive”; in the desert, the very word Nuclear enters his mind “foul-green and oozing, as though the syllables themselves are infected, toxic and capable of creating the terrifying vision of the mushroom cloud.” In a hidden place where his thoughts echo until they gain bizarre intensity, the musician’s professional ear finds both magnificence and horror: a jumble of hallucination and creation that might ultimately look beyond poisonous doom. 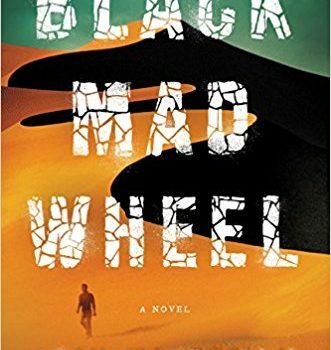 Pared to an eloquent minimum of text, driven by the force of shared fears, Black Mad Wheel gives faces (and voices) to the cycle of human history – at a crucial point where it just didn’t grind to a halt.